This is a complete 50 minute station lesson on the Kennedy administration.This lesson is broken into six stations to teach about the Kennedy administration. I give them 8 minutes a station for a 50 minute period. There is a handout is provided that students complete at each station. This lesson is really well organized and designed in Word. It can be adapted to fit your classroom. It is a simple print and use lesson that requires no adaption unless you want to. How do I find out about and access new materials as they are posted? Continue to follow me to get the notification emails of new products. Then, simply re-download the files and copy over the new items. 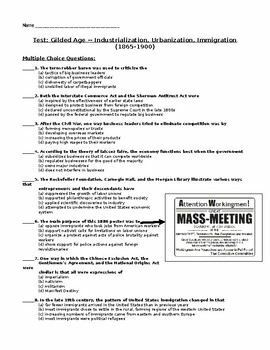 This is a simple one page handout on the War of 1812 with two primary documents on the war. 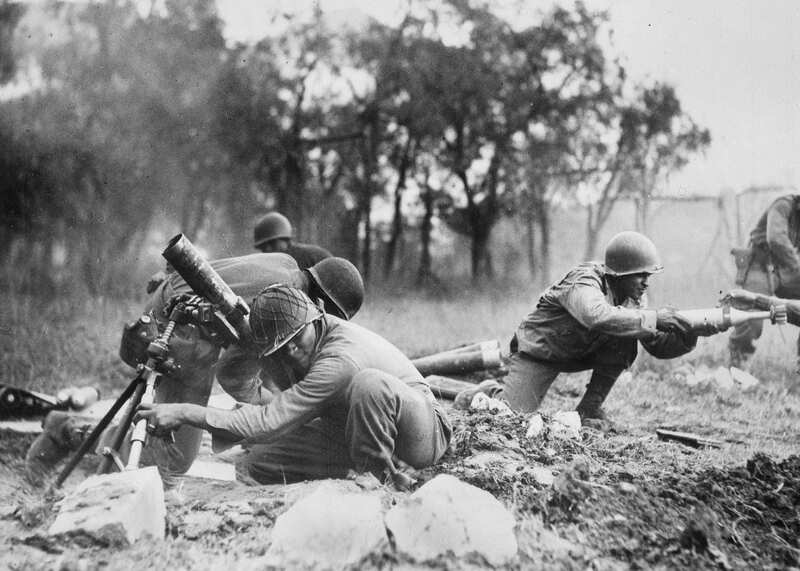 There are three questions for students to answer on the war. It is a PDF and can not be edited. 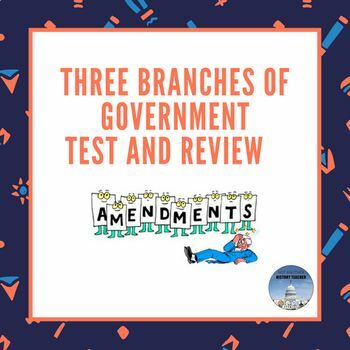 This is a three day lesson on the three branches of U.S. government. It was designed in word and power-point and can be adapted to your classroom. Day 2 and 3: Students get to pick from a Tic-Tac-Toe board which project options they will complete. 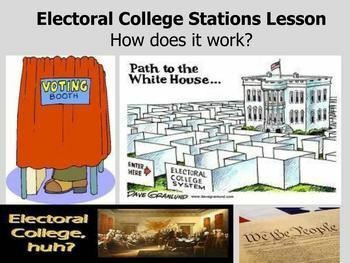 This is a complete 55 minute station lesson on the Electoral College. There is a handout provided that each student carries with them to each station. Each station is clearly laid out that adds to the overall lesson. This is a folder with two versions of the three branches test, teacher key, review power-point, and review sheet. This was designed in Word and Power-point and can be adapted to your classroom. Each test includes: 16 multiple choice questions, 10 bill of rights matching, and 8 vocabulary matching section. 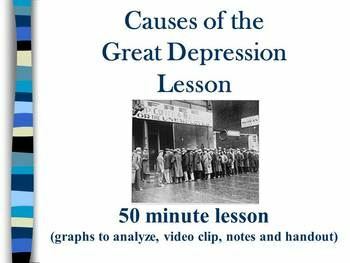 This is a complete 50 minute lesson on the Causes of the Great Depression. It was designed in Word and PowerPoint. You can download and use this less or modify it for your classroom if you want. 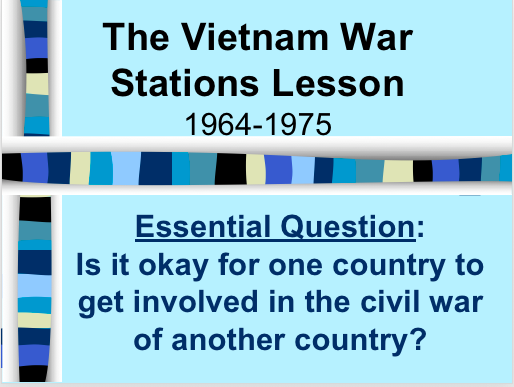 This is a complete lesson for a 55 minute stations lesson on the Vietnam War from the American perspective. 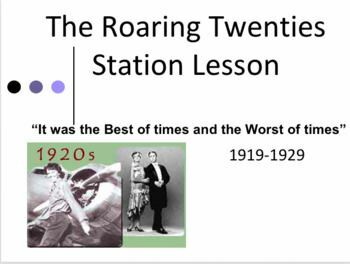 Every station is included and designed in world, ppt, or pdf so you can edit it and adapt it to your classroom. I give my kids 8 minutes a station for each of the five provided stations. This would make a great introduction lesson to the Vietnam War or if you are short on time this could be the whole unit if you want. There is also an attached homework assignment if they finish a station early. Homework prompt if they finish a station early. This is a complete lesson for a 55 minute stations lesson on the 1920’s. Every station is included and designed in world, ppt, or pdf so you can edit it and adapt it to your classroom. I give my kids 8 minutes a station for each of the five provided stations. This would make a great introduction lesson to the 1920’s. There is also an attached homework assignment if they finish a station early. 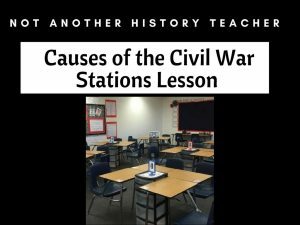 This is a complete lesson plan for the causes of the Civil War. This is a perfect lesson to teach all the causes of the Civil war in one 50 minute class period. There are five stations. I have my students spend 6-8 minutes a station. There is also an extra two page homework assignment if they finish a station early. It was designed in word and powerpoint and it can easily be adapted to your classroom. I am very proud to announce that The Stanford History Group will be hosting the first #sschat of 2013 on Monday, January 7th at 7 PM EST. They will be discussing reading and writing in history courses. Please join us on #sschat! The Sanford History Educaton Group has created two wonderful programs: Reading Like a Historian and Beyond the Bubble. 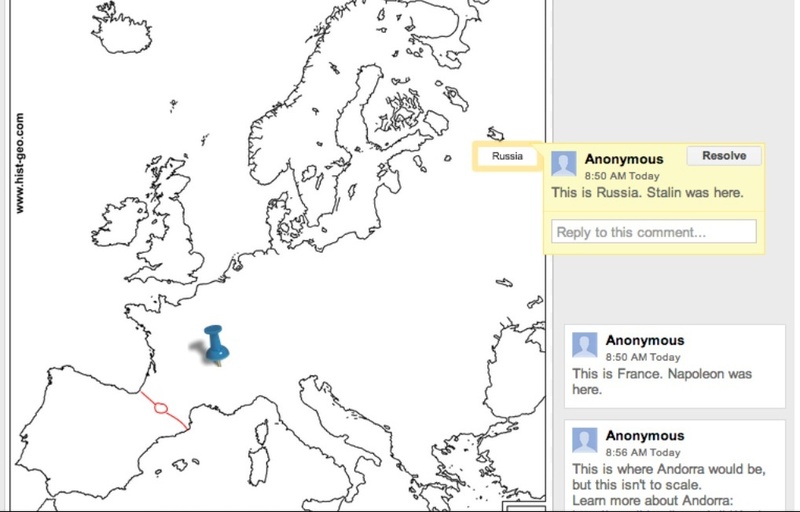 The Reading like a historian curriculum engages students in historical inquiry. 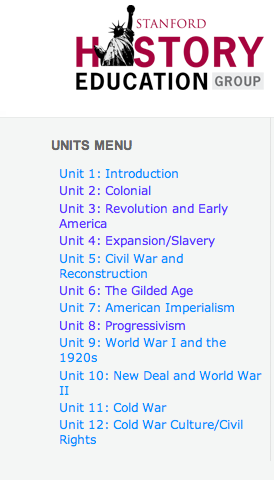 Each of their 65 lessons revolve around a central historical question and features primary documents modified for students of all ability levels. Instead of memorizing historical facts, students evaluate the trustworthiness of multiple perspectives on issues from King Philip’s War to the Montgomery Bus Boycott, and make historical claims backed by documentary evidence. Beyond the Bubble utilizes the digital archives of the library of Congress to create a new form of history assessments. Their goal is to “go beyond the bubble” by offering teachers an easy-to-use assessment that captures student’s knowledge and interpretation of critical thinking instead of memorization of facts.